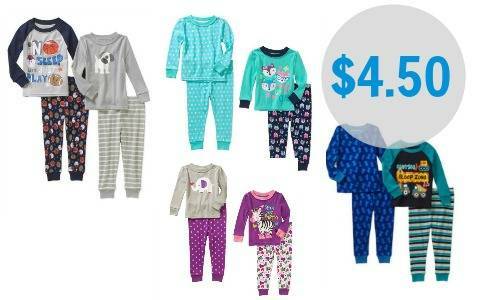 Grab some pajama sets for your kids with this deal from Walmart! Right now they’re offering Toddler Cotton Tight-Fit pajamas for $4.50 (regularly $9.94)! These pajamas are 4-piece sets, so they include (2) pajama outfits. You can choose between girl styles or boy styles. They seem to be selling out pretty quickly, so get them while they’re still available. This sale is valid for a limited time. Shipping is FREE with orders of $50 or more (or choose FREE in-store pick-up).